Ross is an associate lawyer with Madorin Snyder LLP who practices in the area of Corporate-Commercial, Real Estate, and Wills and Estates law. Ross' real estate practice includes both commercial and residential transactions and he has experience drafting and negotiating the terms of commercial leases and advising both landlords and tenants on all aspects of the landlord and tenant relationship. 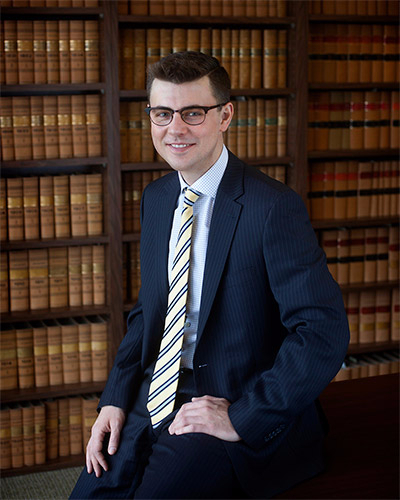 In his Wills and Estates practice, Ross assists individuals and families at all stages of life in providing practical estate planning advice, including the preparation of Wills and Powers of Attorney. Ross also advises Estate Trustees though the challenges they face in properly and fairly administering Estates. Ross joined Madorin Snyder LLP in 2014 as an articling student and as an associate following his call to the bar in 2015. He received his JD from the Schulich School of Law at Dalhousie University after graduating from the University of Western Ontario with a Bachelor of Arts degree with Honours Specialization in Economics, Politics, and Philosophy.